One of the best mystery and reasoning drama of South Korea, Deep Rooted Tree (A Tree with Dee Roots), which won the highest ratings and various awards including the Best Drama Awards on 2011 SBS Drama Awards will broadcast for the first time in Japan through KNTV. 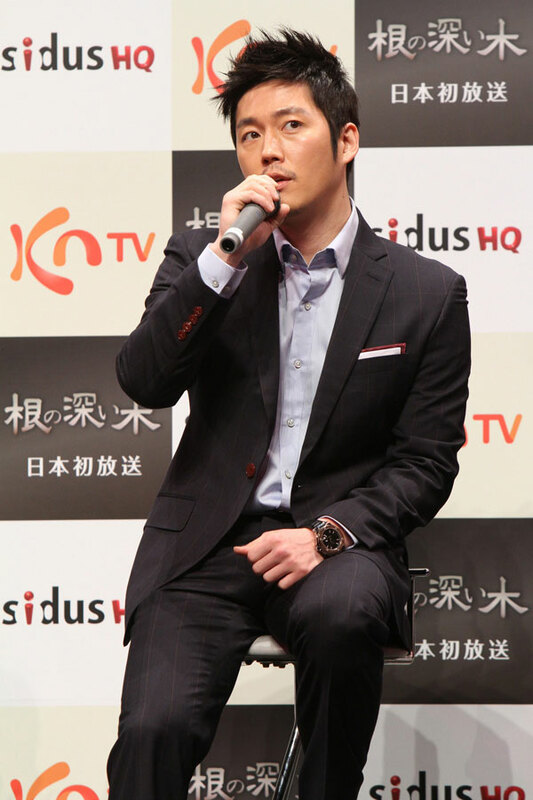 On February 10th, 2012 at Korea Cultural Center of Tokyo, Japan, the drama held its special screening to commemorate the debut of the drama in Japan, and Jang Hyuk attended the event. TV series Deep Rooted Tree is a drama that tells the story about creation of Hangul and the rule of King Sejong in history, and also a contemporary drama that reasoning from a new perspective. The drama exudes unique charm with the famous actor Han Suk Kyu who made a comeback to small screen after 16 years and Jang Hyuk who is famous in Japan after starring in Chuno. Their “leadership style showdown” became a big discussion topic. The drama also included Shin Se Kyung who famous in Queen Seon Deok, Song Joong Ki who famous in Sungkyunkwan Scandal and plays the role of young King Sejong, Super Junior’s Kim Ki Bum and others. "I come to promote the drama. 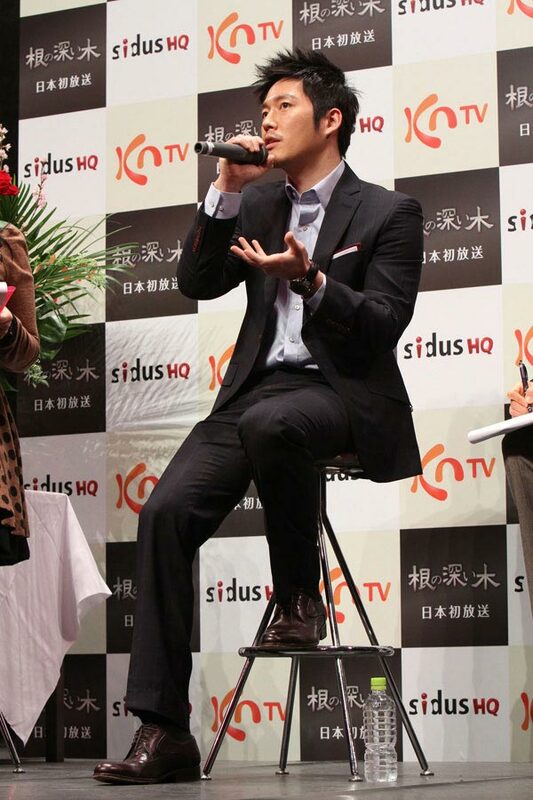 If there is any questions or curious point on the drama, please ask, I will try my best to answer everybody's questions." Applause sounded in the hall. Jang Hyuk expressed, "The drama is the best reasoning drama in Korea, it's a drama about King Sejong who invented Hangul and the killings that happened during the process of Hangul creation." 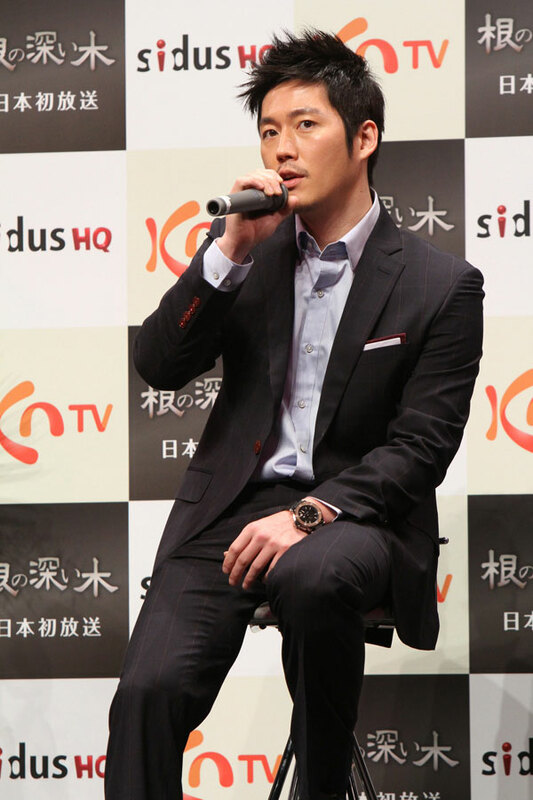 Deep Rooted Tree is premiered in Japan's KNTV from March 17th, 2012, from 10pm to 11:15pm every Saturday and Sunday.